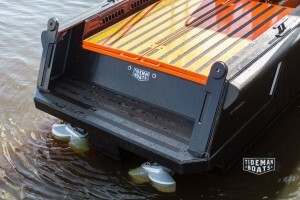 NEW RELEASE: DUTCH HIGH SPEED CREW TENDER ‘WITH BALLS’. 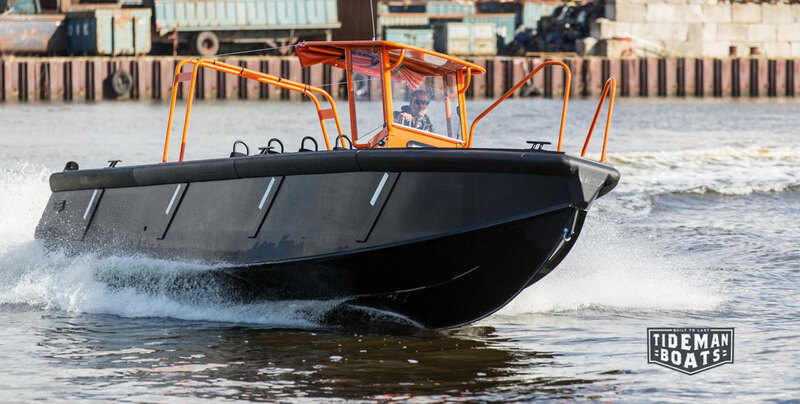 After a period of three years building sustainable and fast moving work boats out of HDPE (High Density Poly Ethylene), we now present a new high-speed professional crew tender. No one is more enthusiastic about HDPE than mister Bruno Tideman himself. The Solution he calls it. 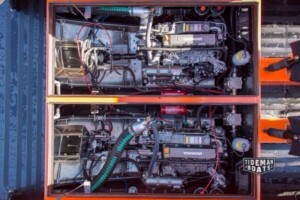 To a major problem in the boat industry. 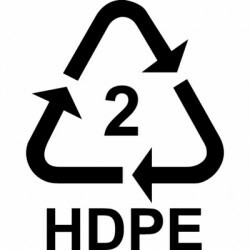 HDPE is indestructible. It cannot sink. Rocks have no impact on it. No maintenance. 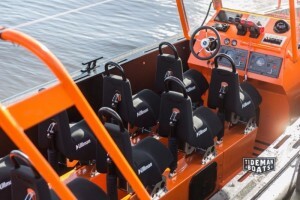 With twin Yanmar 4LHA-HTP diesel engines (160 hp each) and two Alamarin 245 water jets, the Tideman Crew Tender is reaching a cruise speed of 30 knots @ 4,5 tons displacement and a 100 nautical mile range. New item in the range of possible delivery options is the special ‘line handling vessel’ for boatmen. This version is composed by making use of the knowledge of experienced boatsmen. These fast moving boats makes the work in the harbor a lot easier.